After almost seven weeks at sea, University of Washington scientists and engineers have installed pieces for a historic observatory. 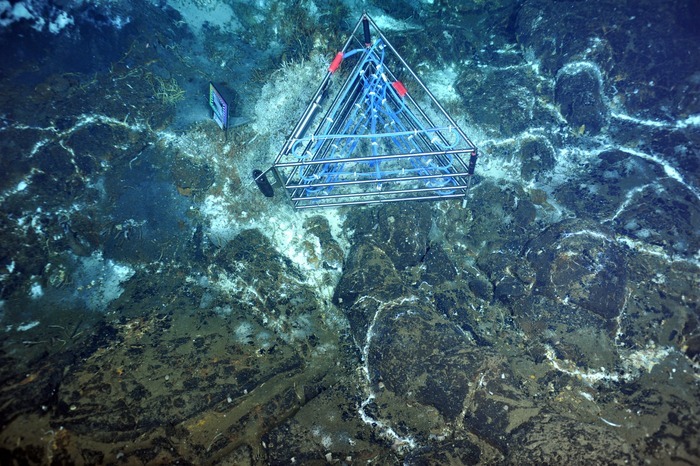 Sitting on the ocean floor are 14 miles of cable connected to sensors, seismometers and a high-definition video camera, poised to send status updates from the deep ocean. Most of the work took place on or around a mile-high volcano that sits in water 2 miles deep, about 300 miles off the Oregon coast. The instruments are the eyes and ears of a project that aims to provide a new way of doing oceanography. 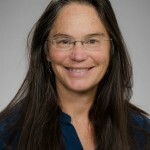 The UW is leading construction and early operation of a $239 million National Science Foundation project to bring high-voltage power and broadband Internet to the deep sea, allowing real-time, continuous monitoring of a geologic environment linked to massive earthquakes, major currents and mysterious ancient life forms. The cabled observatory off the Washington and Oregon coasts, known as the Regional Scale Nodes, is part of the national Ocean Observatories Initiative, an effort to integrate U.S. measurements of the ocean and seafloor. The cruise was the first of two UW-led expeditions to install the observatory hardware. 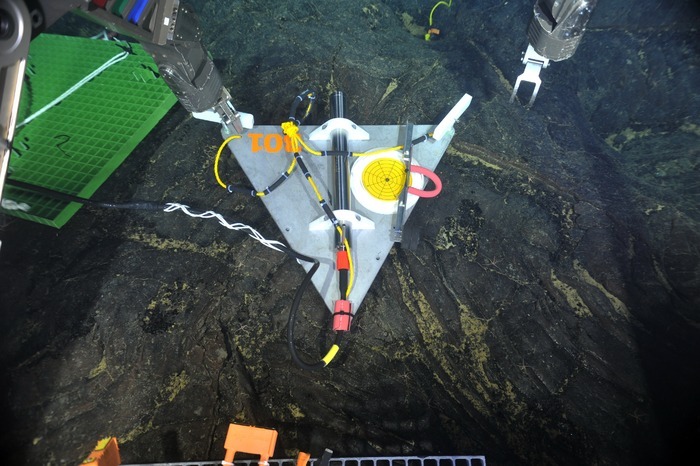 Now on the seafloor are a video camera, an instrument that monitors inflation and deflation of the volcano, two pressure sensors, current meters, seismometers and three of the junction boxes that connect the high-voltage power lines to the scientific instruments. All are ready, once they are plugged in, to send live updates from the seafloor. A highlight of the cruise was the first real-time recording of an earthquake inside the volcano. William Wilcock, a UW professor of oceanography, tuned into the live video feed in late July to help locate and install the seismometers. During the system’s six-hour test, while a robot provided power and Internet connection, the seismometers recorded one prominent earthquake and 14 smaller ones. Wilcock was surprised and wonders if that’s a typical level of activity. Another coup was getting the high-definition video camera to work. Engineers at the UW Applied Physics Laboratory adapted a camera to have pan, tilt, zoom and lighting functions that would work in the deep sea. After reviewing the first images the scientists decided the camera could remain nestled among the deep-sea hydrothermal vents until the network is ready for plug-in. Twenty UW undergraduates participated in the cruise. Students kept blogs and created videos, worked on their own projects for class credit, and assisted the research team by documenting dives and helping process water samples while at sea. The main goal of this year’s expedition was laying the extension cables that connect the study sites to the high-voltage backbone cables. The 11 cables laid this summer included three that run right across the caldera of the active underwater volcano. Many times the research team had to change plans to avoid waves that could jerk the robot’s tether as it entered the water carrying loaded spools weighing up to 4,000 pounds. One day the team waited until conditions were right to launch and then worked 48 hours straight laying three sections of cable. The team also prepared for next year’s work by installing caissons, which are like big sewer pipes that researchers insert into the soft sediment and vacuum out the sediment inside, to hold precision seismometers. Also still to come is a thermometer that slips into the mouth of a hydrothermal vent, a mass spectrometer that will perform chemical analyses, tethered science pods that will zoom from the ocean floor to near the surface, and more instruments to monitor seeping methane gas off the Oregon coast. The remaining instruments will be tested this year and installed during an 80-day cruise next summer. The observatory is scheduled to be complete and commissioned in early 2015. Read a one-page project fact sheet.